It wasn’t a flood. It was a tsunami, Premrudee Daorung said of the wall of water that tore through the forests of Laos’ Attapeu province, snapping timber like matchsticks and flattening entire villages. The governor of a province in Laos hit by flooding from a dam breach earlier this year has issued conflicting estimates of the projected cost to house displaced persons, giving figures deemed unnecessarily high by another official source and contradicting statements he himself had made earlier in an interview. The government estimates it will need at least 6 trillion kip to recover from the damage done by floods around the country this year, with the greatest need being in the transport and agriculture sectors. The ministry aims to push exports to the United States through food diplomacy while also aiming to boost its food and agricultural exports to Cambodia, Laos, Myanmar and Vietnam (CLMV). Laos is the only net exporter of power in the Mekong Region and has been nicknamed the “Battery of Asia,” selling power to Thailand, Vietnam, Cambodia and China. Cambodia’s startup ecosystem is experiencing growth, with tech investment on the rise. By Q2 2018, Cambodia had seen at least 12 tech startup funding announcements, or exactly a 140% increase from at five in the previous year, according to a new report by Mekong Strategic Partners and Raintree Development. China’s Xinhua News Agency and Lao News Agency, also known as KPL, on Wednesday signed a new agreement on news exchange, to advance bilateral cooperation. Regular labour migration links to more benefits for migrant workers and their families than irregular migration according to a new UNDP/ILO report on migrant work experiences from Lao People’s Democratic Republic to Thailand. Lao PDR’s Ministry of Information, Culture, and Tourism and the Mekong Tourism Coordinating Office have launched Inspiring Laos, a new website that promises to inspire more travellers to visit Lao PDR. Metro Optical, a carrier neutral company that specializes in providing cloud, internet and high capacity global data connectivity and LXT Networks, a wholesale specialist providing intra-ASEAN terrestrial connectivity, have today announced a strategic partnership to offer internet access and SDWAN services throughout Thailand, Cambodia, Myanmar, Laos and Vietnam. Thamuang village in Hadxaifong district is about two kilometres from the Lao-Thai Friendship Bridge and is easily found as everyone in the neighbourhood knows it. Eight provinces of Laos and Vietnam met a conference in Thanh Hoa Province, Vietnam on October 18 to consolidate their cooperation in fighting drug crime. With the full moon finale to Buddhist Lent Wednesday and annual boat racing events Thursday, Laos and its capital’s downtown riverside are alive with festive fever once again. Seven Participating States- Bangladesh, China, India, Lao PDR, Mongolia, Republic of Korea, and Sri Lanka are the parties to the APTA. This report of the Potassium Gluconate—Lao Bao Gao Market has been released by Emainly to bring forth the market trends of the Potassium Gluconate—Lao Bao Gao market. 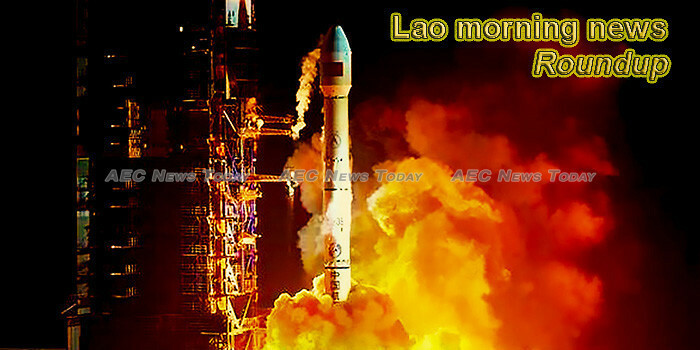 This week’s Lao morning news feature photo acknowledges World Day of Audiovisual Heritage, October 27.